The United States and China are the two biggest economies in the world. We have to work together. Given the intertwined relationship and globalization. 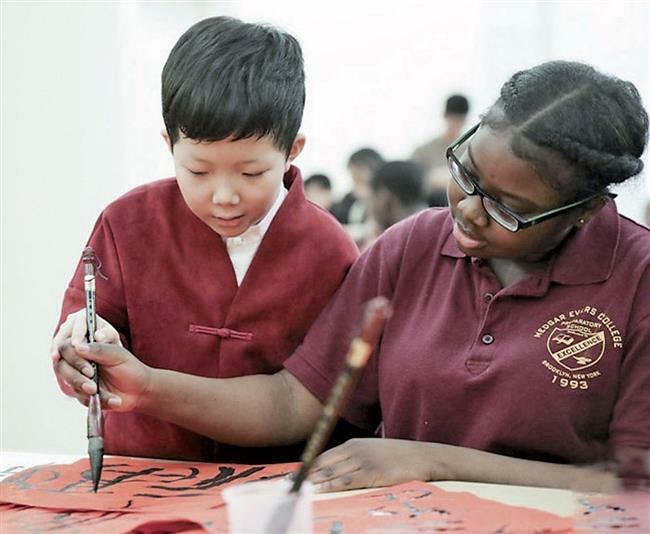 A pupil from Beijing teaches a student from Medgar Evers College Preparatory School of New York how to write Chinese calligraphy during a cultural exchange event in New York. INSTEAD of stressing their own views, the United States and China should seek win-win solutions to their disputes, a veteran US business leader said in a recent interview with Xinhua news agency. “The United States and China are the two biggest economies in the world ... We have to work together,” Shirley Young said, pointing out that the two countries’ business interests are highly intertwined. Young, 83, is a former vice president of US automobile manufacturer General Motors. She co-led the brand’s entry into China in the 1980s. “Given the intertwined relationship and globalization, it’s ridiculous to think we cannot work together,” Young, an eyewitness to the evolution of China-US economic relations over the past four decades, said. A win-win situation is the basis for success and requires both sides to take into consideration each other’s goals, the octogenarian said, adding that a partnership based on mutual respect allows both parties to win. She called GM’s success story in the Chinese market a good example of win-win cooperation between the two countries. “In order to know what they want, you have to understand them and listen to what they say, instead of trying to push your point of view only,” she said. 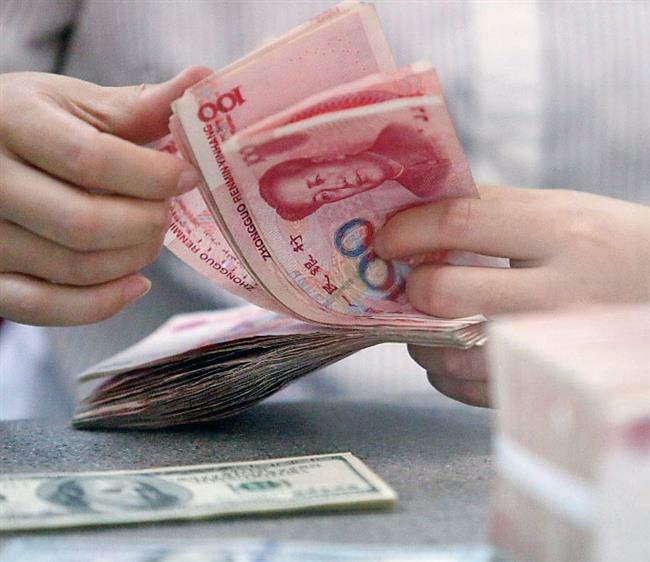 An employee counts renminbi notes at a bank in Linyi, Shandong Province, in this file photo. That willingness is key to forging good relationships not only in the economic sphere, but also in other sectors, she said. The daughter of a Chinese diplomat, Young was born in Shanghai in 1935 but raised in the United States. Young, who chairs the New York-based US-China Cultural Institute, has devoted herself to promoting people-to-people exchanges, believing it is important for the West to understand Chinese people and Chinese culture since the development of China-US relations will ultimately be determined by the people of the two countries. “(If) you can work with the people ... then eventually policies will change because the people choose the leaders and the leaders reflect what the people think,” she said. The former businesswoman encouraged young Americans to travel to China and see with their own eyes what the country really is, rather than solely relying on China-related news in the US media. They will find that the world is not as polarized as described by the media and the political rhetoric in the West, she said. Rejecting the notion that the rise of China poses a threat to the rest of the world, Young said it is important for people in the West to understand China, whose culture is vastly different from theirs. “China is such a big country with so many people. It’s very much concerned about itself, not so much concerned about dominating the world — that has been true throughout China’s history,” she said.